Auburn University senior gymnast Samantha Cerio suffered some serious injuries at the NCAA Regional Semifinal in Baton Rouge on Friday. 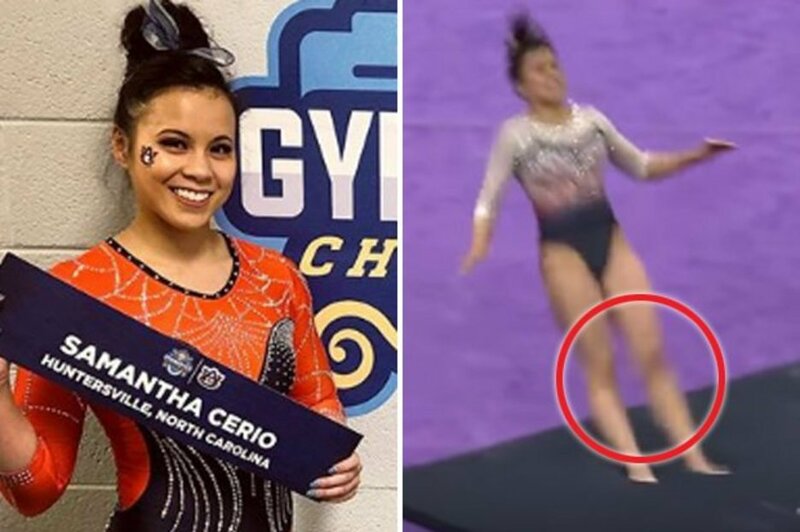 The senior dislocated both of her knees and broke both legs during a floor routine, the Times-Picayune reported. The gymnast posted about her “final night” as a gymnast. Cerio is an aerospace engineering major, according to WDSU. After she graduates, she will begin working for Boeing in Seattle.